WoWzA! These are bold and very fun. They are from the 1980's. 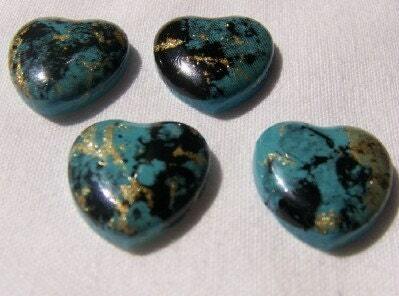 Turquoise blue hearts with random splashes of black and gold. 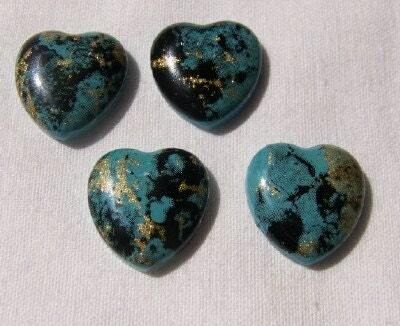 These cabs measure 18mm X 18mm. You will receive 4 of these.